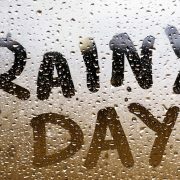 You are here: Home / Pool Side Blog / Pool FAQs / Can excavators access my property to dig my new pool? This is a short article to answer the question that we are asked more or less – “How do we know if we can get the machines back here?” and a few other items that could be unearthed during a pool excavation project. 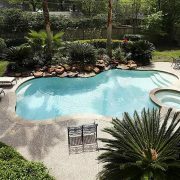 Where homeowners in Conroe and Montgomery Texas are unsure if the pool construction equipment will fit their backyard. 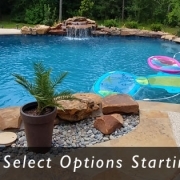 In every case of a swimming pool installation around the Montgomery County TX area we have always been able to get the excavation access required no matter what the circumstances were. Although there are some limitations, expectations and possibly restrictions in each case of a pool construction project at the time of requesting any required approvals, there are also considerations about the spacing of your property lines and how it may effect your neighbors. In urban neighborhoods such as Grand Central Park in Conroe, TX or Woodforest Golf Club in Montgomery, TX clearance is needed between the furthest edge of the house or structure and the fence. On the other hand you may live out on an open plat of land, where access to the pool could be from any direction. The amount of clearance needed for our normal size equipment (which will get the job done quickly) is 8 feet or more specifically 96 inches. Our equipment operators handle the excavation machines with precision! 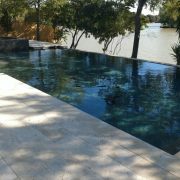 The excavation process of a gunite swimming pool is as important as the precise shape of the finished project. You may be wondering, where does all of the dirt go if we do not leave it here? We will intend on using any good quality spoils from the dig to aide in later phases of construction, and the majority will be hauled away from your property. We will address more details about what happens to the dirt in another post. 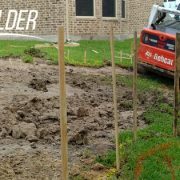 As you could imagine, we have uncovered a great deal of random objects, sprinkler systems, sewer pipes, and even old burn piles and sorry to say, with all of the pools we have installed we still have never found buried treasure…not yet! We do however run into the occasional large tree stump. It is always best to know the history of your house, if at all possible. When it comes to the access of the excavation site, the distance between the house and the fence should be a minimum of 8 feet. Whether you are short on the space or not we have smaller machines available, it just may take a couple of hours longer to complete. If you are seriously thinking about building a pool then you are more than likely looking at the potential, sizing up your backyard and your HOA if you have one. So here are a few helpful hints to help you prepare for the excavation aspects of swimming pool construction. Measure the distance that you have between both sides of the house and your fence to make sure you have at least 8 feet of room. If you do not have 8 feet of space then you are going to want to speak with us and your neighbor to see other potential options. If you have an HOA or you are under deed restrictions make sure that you get the information of allowing access of construction equipment on their website or at their office. We are experienced with all local building codes and most of the neighborhood associations around Conroe and Montgomery TX so we have the experience to help guide you. Try to work out the location of your sprinkler pipe network if at all possible, however we can assist you with that as well. You can expect some damage to the sprinkler system when digging a new pool. The direction of pipes could be unknown or incorrectly listed. Check around to see if you have any trees that are directly in the area you would like to install the pool. Secondly, and this will depend on your pool design, check around for any trees that may end up too close to the pool area, they could become a problem later. By the way, we do repair the fence when the excavation is complete! 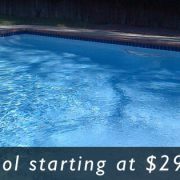 Looking for more information about swimming pool construction? 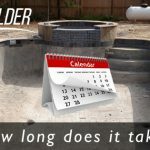 https://www.yourpoolbuilder.com/wp-content/uploads/2017/03/swimming-pool-builders-excavation-Conroe-TX-77304-77302.jpg 315 851 Your Pool Builder https://www.yourpoolbuilder.com/wp-content/uploads/2017/04/Web-Ready-Logo-Black.png Your Pool Builder2017-03-26 13:38:522019-03-21 14:08:02Can excavators access my property to dig my new pool? How much dirt is removed during swimming pool excavation? How big of a pool can I install in my small backyard?